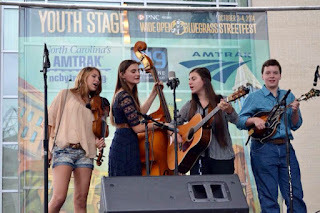 The Kids On Bluegrass Band from the USA is made up of Frannie DiGiovanni (guitar), Cara DiGiovanni (fiddle), Isaac Ferrell (banjo), Jonah Horton (mandolin) and Helen Foley (bass). As mentioned in the article in Bluegrass Today, the Kids On Bluegrass Band has been assembled by band director, Kim Fox (of 3 Fox Drive) and they will be appearing at the 10th La Roche Bluegrass Festival between the 29th July and 2nd August. I have been fortunate enough to see some of these musicians play live and you really do not want to miss seeing them. 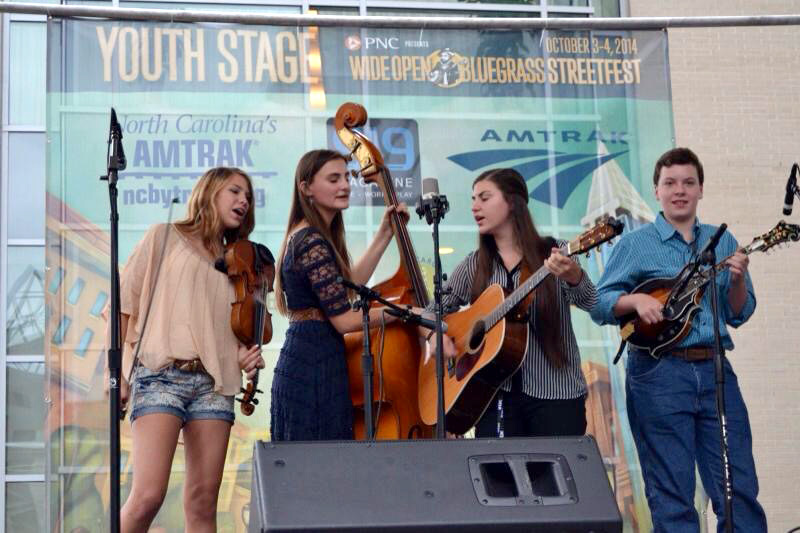 This video was taken at IBMA in Raleigh in 2014. 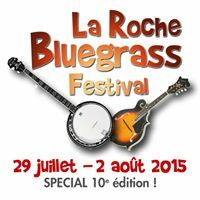 They are all highly gifted musicians and, whoever else is playing at La Roche, find time to see Kids On Bluegrass. On a personal note, and from experience at HoustonFest in Galax, if you happen to see a young man walking around who appears to be permanently attached to his mandolin and playing wherever he walks, this could be Jonah Horton.